Lavender is a small bush shaped shrub. It belongs to the Lamiaceae family like white dead-nettle and originates from the Mediterranean basin. It may grow to 60 centimetres in height. Its branches are erect, very branched and bushy, with narrow ash=green coloured leaves. 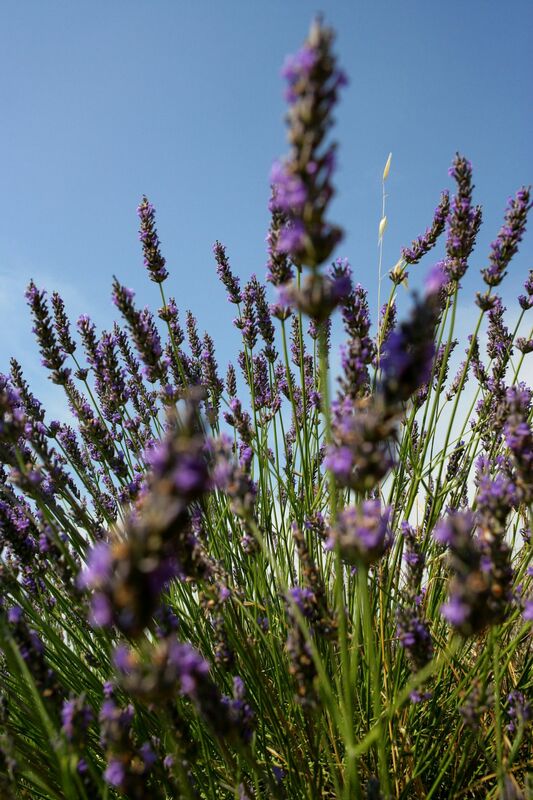 The flowers are grouped in a terminal peak which gives la lavender its characteristic colour and pleasant smell. The fruit is a single blackish seed. It is therefore an achene. The flowers are harvested before flowering finishes in July and August. They are dried and then reduced to a powder and are used in capsules or infusions. When they are distilled they produce a essential oil called lavender essence. This is used in ointments, creams, gels and perfumed water. Lavender is believed to relieve mild sleep disorders and nervousness. For this it is recommended that it should be taken as an infusion containing 5 g of flowers per 1 litre of water, and should be taken particularly before bedtime. In capsules, lavender is used to treat poor appetite or intestinal problems. The alcoholate which is obtained by macerating lavender leaves in alcohol is believed to be effective on minor skin infections and insect bites. It is recommended that it should be used as two or three applications per day. On the other hand, essential oil of lavender must only be used on medical prescription. In addition to its potent antimicrobial and antiseptic properties, essential oil of lavender also has blood pressure lowering effects. At high dose, however, it can be neurotoxic. Finally, lavender is widely used in cosmetics such as a perfume additive in eau de Cologne. In the home, its dried flowers can be used to perfume linen and keep mites away. And for gourmets, lavender is an integral part of jam and pastry recipes!